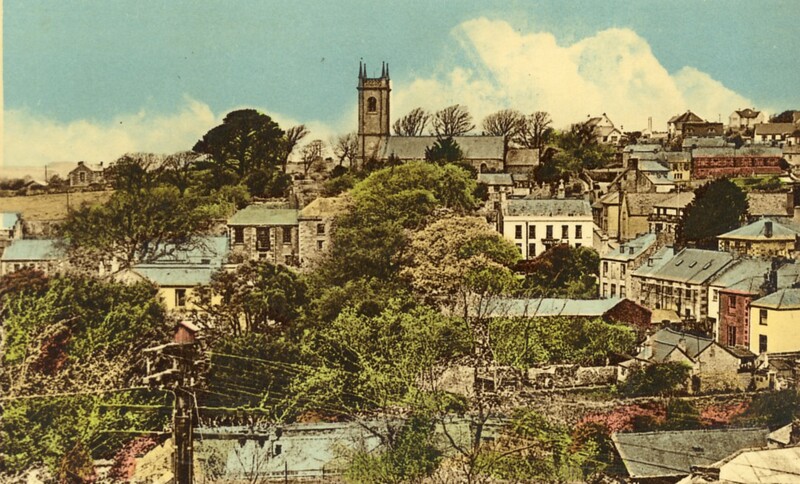 An early colour view of St Michael`s Church and the Cross Street area of Helston. An early view of the centre of Helston taken from the tower of St Michael`s Church. In the centre foreground you can see The Willows. 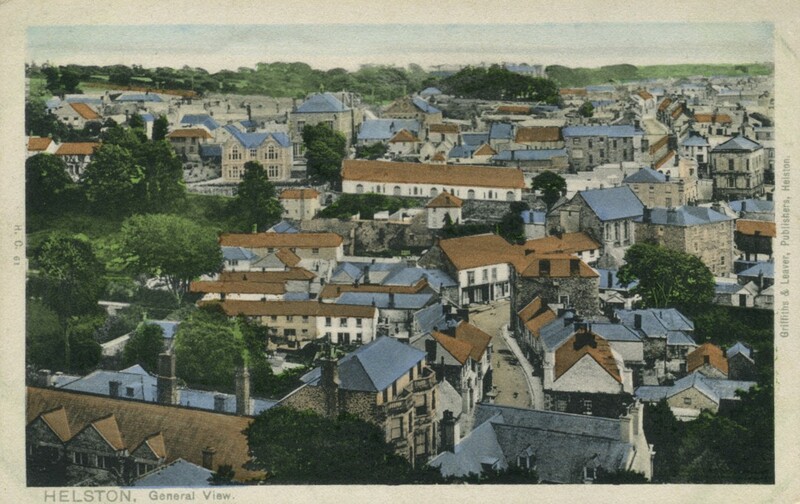 You can then look down Church Street to the Free Church Chapel (Now demolished) and the Guildhall. Beyond you can look up Meneage Street and in the centre distant is the Work House. To the left centre can be seen what is now the Museum and further left the Passmore Edwards Arts & Science building. 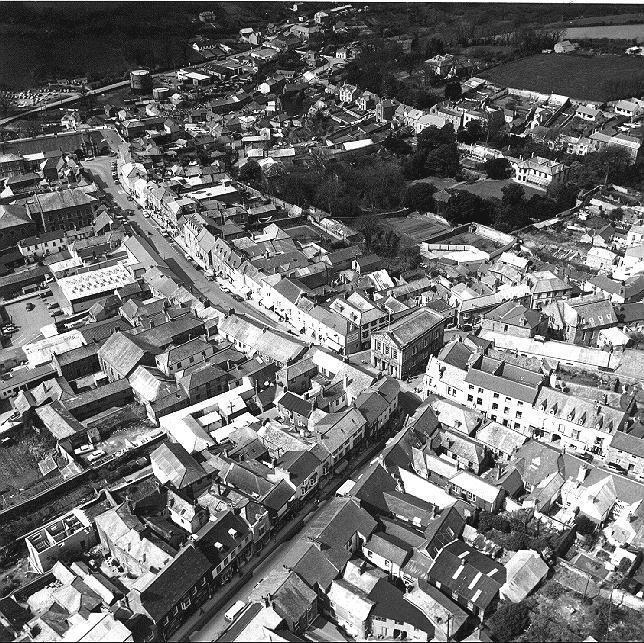 With the GUILDHALL just off centre, this aerial photograph taken in the early 1970`s gives us a panoramic view of Coinagehall Street, Meneage Street and the conservation area around Cross Street. `Lismore`, the large house and gardens made famous by Dr Michael & Flora Day, can be seen towards the top right.